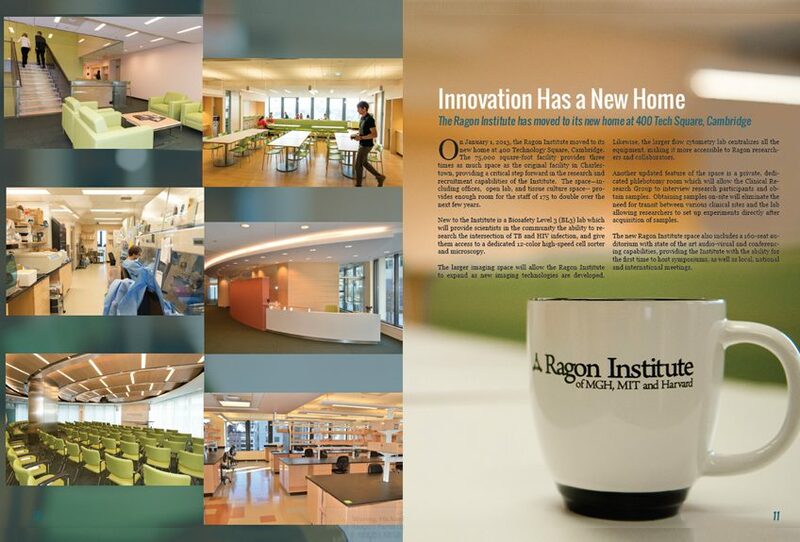 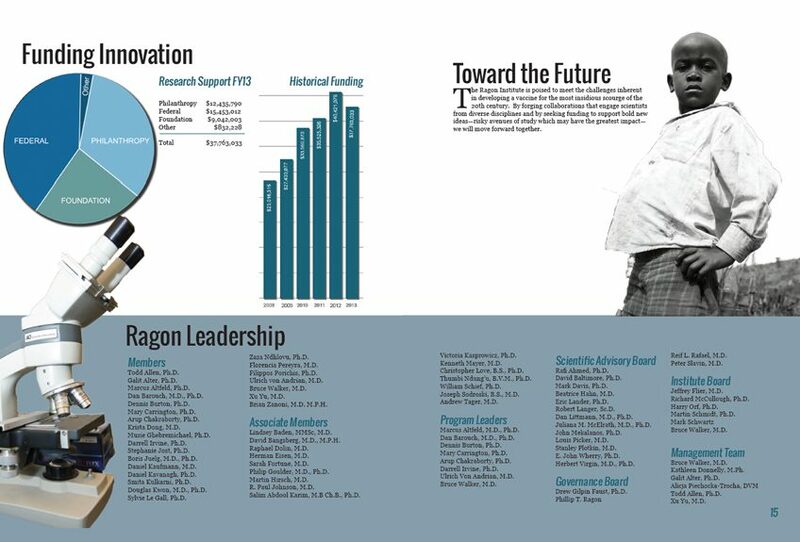 The Ragon Institute 2013 Annual Report is the first for the institute. 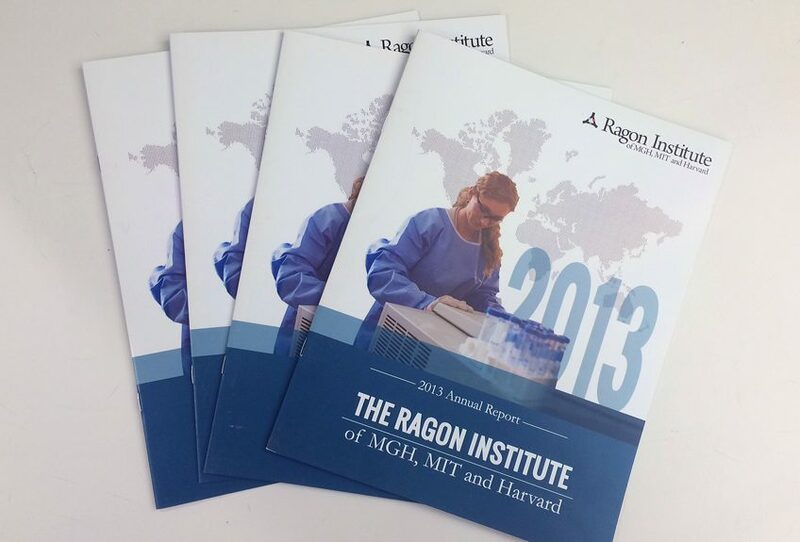 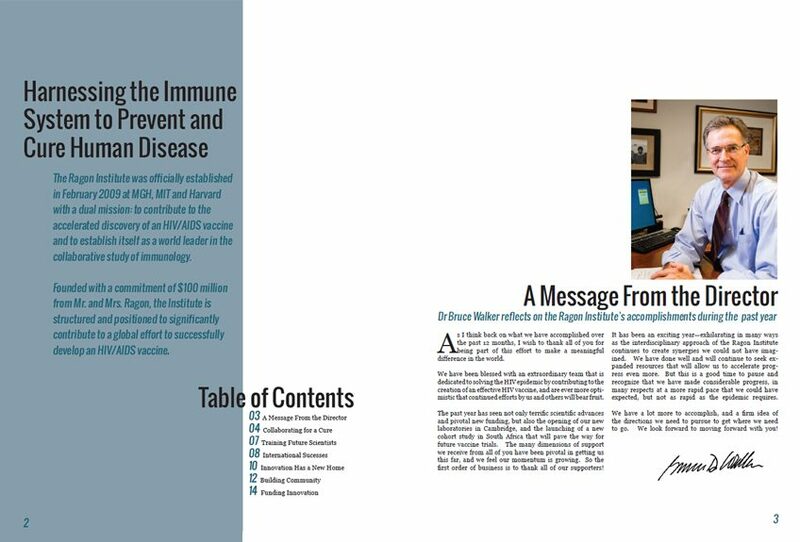 This 16-page printed report details the accomplishments of the institute during the year and is designed for use as a marketing piece. 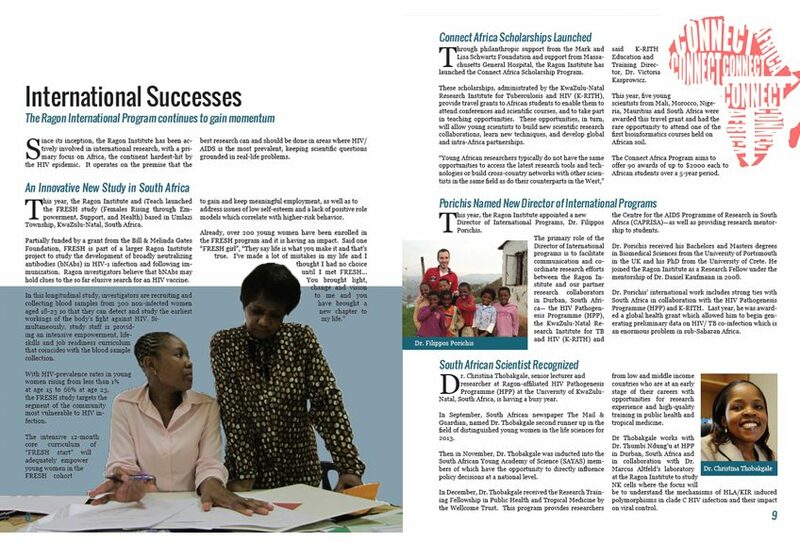 The project involved writing content, selecting photos, creating the layout in InDesign, and collaborating with the printer.